Long Business Description: A nice cosy, comfortable, relaxed place to enjoy coffee and conversations – browse through books, old and new. 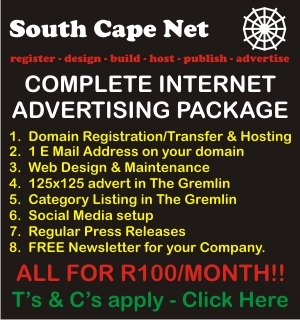 Long Business Description: Adding value to my domain hosting and internet advertising service by running a high traffic internet newspaper for the Garden Route where my clients and other local businesses can advertise, share opinion pieces and publish press releases. Daily readership now over 5000 unique visitors per day and over 30000 unique visitors per month. 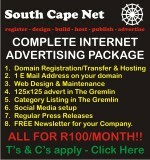 Short Business Description: Online newspaper for the Garden Route. Long Business Description: International, National, Business & Sports News updated at 8 am weekdays. 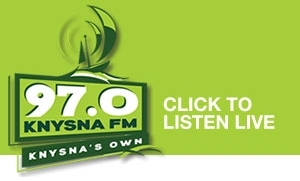 Local news for George, Mossel Bay, Sedgefield, Knysna, Plettenberg Bay & Oudtshoorn updated continuously. Subscribe to our newsletter. Long Business Description: The exquisite Views Boutique Hotel and Spa invites the warm Indian Ocean right into its sumptuous five star suites. An idyllic paradise from which to explore the secrets of South Africa’s famed Garden Route, with its unequaled seascapes and pristine beaches.